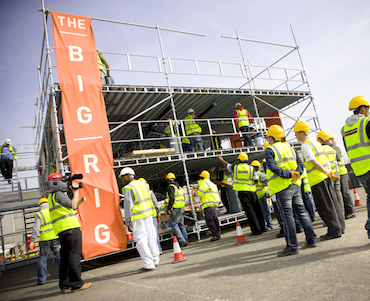 This report is the first of four that CITB commissioned Think Up to write recommending ways to deliver high-impact construction education in University Technical Colleges. The aim of construction-themed university technical (UTCs) colleges is to produce young adults motivated, knowledgeable and skilled to enter the construction industry as apprentices or through further study at HE. While the construction-themed curriculum content that teachers will be working to is set out in the document ‘Construction and the Built Environment – How University Technical Colleges can deliver best practice’, the experience of course designers is that following this curriculum alone is not sufficient to ensure that the proposed learning activities fulfil the aim of the UTC. We were commissioned by CITB to identify what addition guidance is necessary to help bridge this gap. We have read and considered a wide range of documents written about UTCs and their ethos, consulted with teachers and academics and drawn on our own experience. Our conclusion is that what course designers are missing is guidance on how to achieve the necessary learner motivation to meet the UTC aims: motivation to apply; motivation to study; and motivation to pursue a career in the sector. We characterise that appropriate learner motivation by a single phrase, ‘the pursuit of life-changing fulfilment’. Creating these learner experiences in everyday teaching is fundamental to harnessing the necessary learner motivation to meet the aims of construction UTCs – in the pages of this report we provide guidance for course designers at construction UTCs on how to do so. This guidance is split into ten principles, each accompanied by practical suggestions for practical implementation.